The dust may be settling a little on a campaign of emotional highs and lows for Birmingham City. But it’s likely to be kicked up again and swirling around pretty soon. Blues’ marathon 62-game season came to an agonising finish in the Championship play-off semi-finals. A stirring fightback from 2-0 down in the second leg against Blackpool at St Andrew’s left Blues just short. The Seasiders went through to Saturday’s final against West Ham United 3-2 on aggregate. So another season in the Championship beckons – as does another uncertain summer. 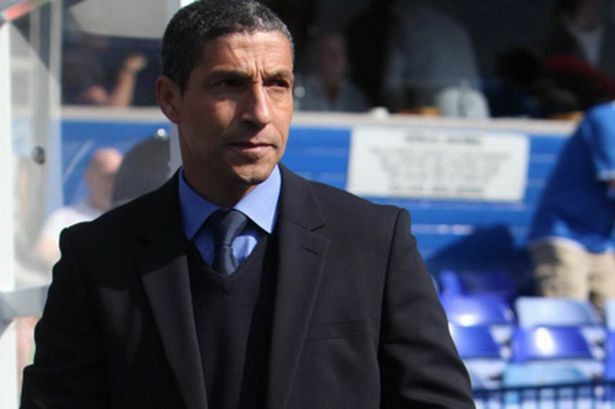 Chris Hughton’s future is of major concern, with West Bromwich Albion known admirers of the Blues boss. And off the field, Carson Yeung’s money troubles appear to show no sign of improving. Yeung has been in court in Hong Kong this week to argue that the £55 million assets freeze order against him in the wake of money laundering allegations should be lifted. And he faces a civil action from a bank next month after defaulting on a £15 million November loan taken out against his property which was designed to prop up parent company Birmingham International Holdings Ltd and Blues. With no Premier League football and the associated riches, although Blues will continue as a going concern in the summer, it’s hard to see how Yeung and BIHL can realistically improve the finances and bring stability without major investment or selling up. When BIHL’s accounts for last year are published – Peter Pannu said they would be out before the play-off final – a clearer picture of the financial problems should be known.Pannu himself has said that it won’t make for rosy reading, but that ‘we are not close to bankruptcy’. In the meantime, Hughton has to get on with the task of enhancing a squad that finished fourth in the Championship. He obviously needs clarity himself on what he can and can’t do, and what Yeung and BIHL’s exact plans are. Hughton isn’t of a mind to simply walk out. He has enjoyed it at Blues, despite the challenges since taking the job. He has the respect of his squad and vice-versa and he has been affected by the adulation shown to him by supporters. But should a club come calling – whether it be Albion or another – offering more resources, ambition and certainty, he will face a dilemma. Ultimately, the owners have to show him a distinct pathway and make sure that Blues don’t get bogged down in a mess that impacts not only on the side but the very future of the club itself – if that is at all within their means. Hughton remaining at the helm is so vital.Former favourite Joe Gallagher told the owners that they simply have to secure his future. “And in Chris Hughton Birmingham City have got an absolutely top class manager. “The club, come hell or high water, must do everything they can to keep Chris in place. “Yes, we might expect some players to come and go, that is the nature of football. Gallagher added: “Had Birmingham gone up to the Premier League then the chances of keeping Chris would have been much better. “Really, it’s up to the board and what they want to do. Do they want to keep Chris or not or, rather, will they do everything they can to keep him?”.